This post brought to you by Sonoma-Cutrer Vineyards. The content and opinions expressed below are that of Happy Hour Projects. Maybe it says a lot about my family (ahem), but there’s always a bottle of wine (or a couple) on the table for big family gatherings. It’s just something a little bit indulgent that most of us enjoy. So in planning ahead for Thanksgiving, I’m making my wine selections now – because in my family, we just don’t show up emtpy handed. I’m always on the lookout for something different. We do make notes of our favorite wines, but most often, we all like to know what other great wines are out there. I’ve been browsing the selections by Sonoma-Cutrer, and I want to share them with you today. There are two chardonnays I have my eye on: their Russian River Ranches Chardonnay has is a light wine with notes of lime, lemon, and grapefruit, with apple and pineapple aromas, and touches of caramel and nougat. The Sonoma Coast Chardonnay is medium-bodied, with apple and bosc pear accented with toasted nuts, oak spice, and vanilla. And chardonnay is a great choice to pair with the star of any Thanksgiving dinner: a big roast turkey, and those other great, rich dishes! Sonoma-Cutrer also has a great-looking Pinot Noir – a great choice for later, with those pumpkin dishes and savory sides. Their Russian River Valley Pinot Noir is an earthy, balanced wine with blackberry, raspberry, and black cherry aromas. Even if you don’t put wine on the table for your holiday meals, a bottle of wine always makes a great host or hostess gift. If you’re not sure what type of wine your friends like, when you’re entertaining, it’s always nice to have a few different kinds for every palate out there. If you don’t know what kind of wine you like, the best way to find out is to try wine tasting! You get to sample a few different selections, and the best part about it is you get to draw on the expertise of the staff. Tell them what you like, or what you don’t like – or tell them you don’t know yet. They will have recommendations for you to help you discover your own tastes. My husband and I actually honeymooned in wine country, in the northern part of Michigan – it’s such a fun activity to go on a wine tour, if you ever have the chance. 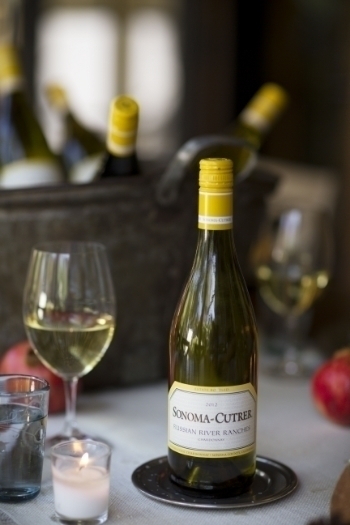 You can keep up with what’s new at Sonoma-Cutrer Vineyards by following them on Twitter @SonomaCutrer. 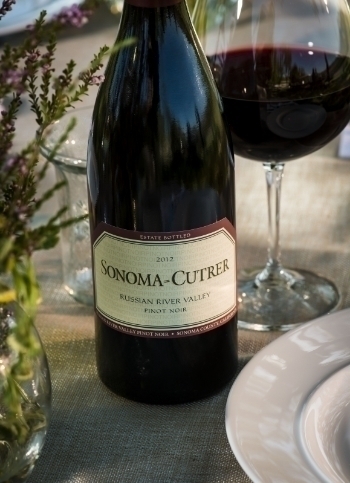 Have you tried anything from Sonoma-Cutrer Vineyards before? What did you think? And what’s your winning wine suggestion for the holidays? So I have a question for you. The only wine I’ve tried and really liked is a blackberry wine. I tried a blueberry that was pretty good too. So, apparently I like fruity ones and the sweeter the better. What would you recommend for me? If you’re wine tasting, ask for their dessert wines! If the selection is more limited, try a Riesling. And if you ever have the chance to try an ice wine (wineries in Northern states sometimes have one – definitely try it. I bet your family gatherings are always a blast! Wine tasting is so much fun. My husband’s cousin’s step daughter (have I lost you yet) works at Black Star in northern Michigan……the wine tasting was so much fun! I’ve stayed there!! It’s beautiful and they have the absolute BEST cheese!